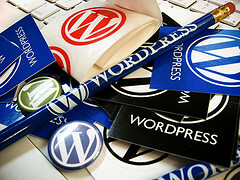 Get Me Some WordPress, Stat(s)! Blogging has been a nice distraction for me while I hope for my YA novel to be sold. And if I haven’t told you guys how much I appreciate your readership, allow me to do so, now. It makes me happy to know that you guys want to spend time with me and my writing. How do I know that you are coming to my blog? Why, my stats of course! One of the coolest features about WordPress (from a writer’s standpoint; I’m sure a designer would have other opinions) is the stats feature. I love watching the line graph grow as folks visit my site, and watching my blog readership grow day to day, week to week, and month to month. (427 in my inaugural month August 2009 to 1566 in March 2010. I feel like this is pretty great growth. Yesterday, my blog post Something To Do With Garden Gnomes was featured on the WordPress.com homepage. (Not my best post. Had I known I’d be featured, I may have tried harder.) I don’t know how these things are decided. My mom always said I have a lucky streak. But whatever! Thank you, WordPress, for making my stats yesterday go BUH-Nanas! You see, normally (on a really good blog day–usually Sunday) I get 80 – 150 visitors. I’m happy with this. My “busiest day” before yesterday was 199 visitors. So, you can see that WordPress has done me a solid. I was hoping to break my “busiest day” count and reach 10,000 visits before I hit my one-year blogiversary this coming August. I definitely broke my “busiest day” count yesterday. And I may even make my “total views” goal this week! I don’t know why I get so excited about my stats. Maybe I just like attention. Maybe the thought of that many people seeing my writing gives me a taste of being published. (37 people yesterday read my sneak peek; 7 checked out my lit agency – not that these people are looking to publish me, but it’s still exciting to have my writing read.) Maybe this is a boring post, but as a person who’s trying to build a readership for a future novel (I hope), this has been a great day! Oh, I hope so, Tammara! I hope so. That’s really cool, Jody. Just think: If you’ve got thousands of followers for your blog posts, you’ll have even more for your books! I like the way you think, Antony! Dream big. That’s awesome that your stats are high. I think every blogger thinks about them, so you aren’t alone. Hope you make your goal for your anniversary. Hopefully you’ll have a book deal to announce by then too. I definitely agree with you and Natalie. I think every blogger need “a little attention” and will be happy when we find out how many visitors we have for the day. It’s a good thing that your posting was featured on wordpress’ homepage -and that’s how I found this. It is a nice blog with nicely written postings (although it is quite long to read -as I’m not an English speaking person). But it’s nice. I’d like to learn a lot of thing from you. So I think I’ll bookmark your blog on my PC 😉 And good luck for your upcoming book. Tell me when it’s published. Thanks! Glad you found me and enjoy the blog. Believe me I’ll be shouting all over this blog if I get published!